Please select your desired time slot. Each mini session lasts around 30 mins. Keep in mind I schedule these in the evening to get the best lighting possible for beautiful portraits! 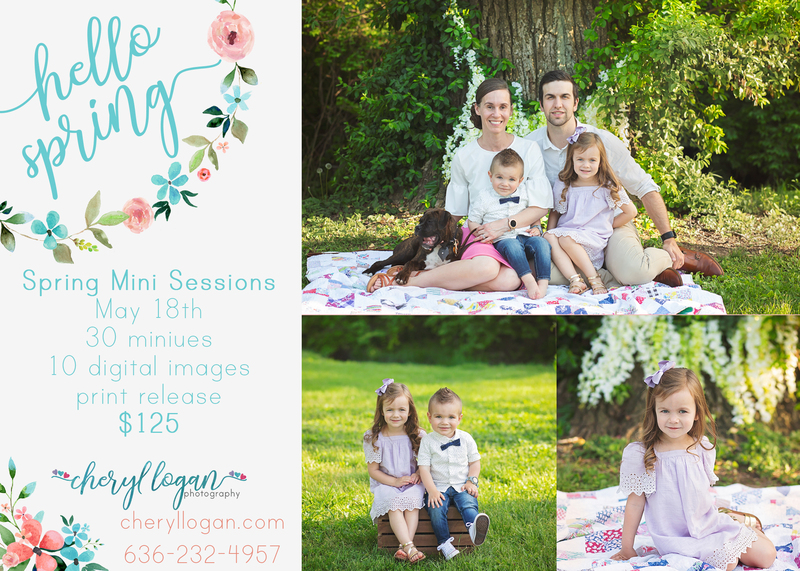 MINI SESSION FEE: The mini session fee includes an optional pre-session consultation via phone or email to cover details in advance, 30 minutes of the photographer's time and talent at the studio, and retouching of your final images. Full payment of the session fee is due at the time of booking and guarantees your appointment time. Please submit the session fee payment along with these forms as soon as possible. Session fees are non-refundable. Please be on time for your session. Session Location: Sunset Park in Festus, MO.